14:20 | Huancayo (Junin region), Aug. 2. 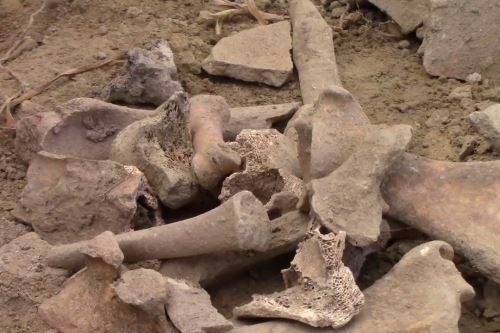 Skeleton remains, pots, and mortars —allegedly belonging to pre-Inca Wari culture— were unearthed some 100 meters away from Wariwillka archaeological complex in Andean city of Huancayo. 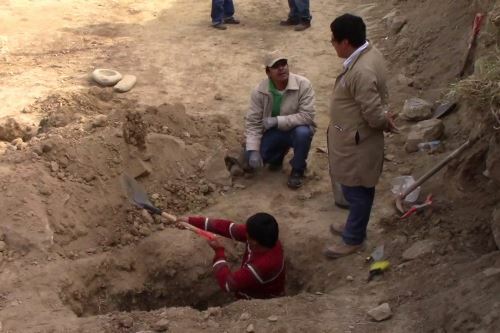 The discovery was made during leveling works in a piece of land belonging to Huayllaspanca neighborhood. 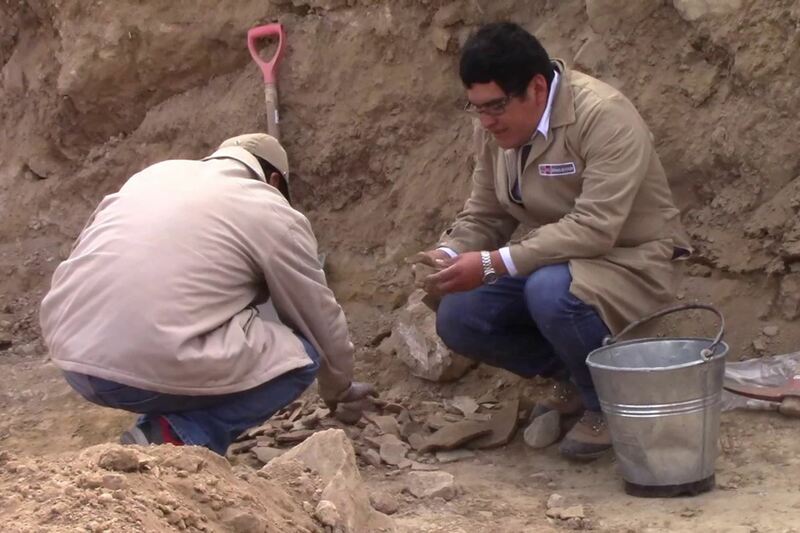 Confirmed by Peru's Culture Ministry experts, the accidental find was reported to State-run Decentralized Culture Directorate of Junin, whose specialized staff reached the place and —in view of the evidence— kicked off the excavation, supported by the police. "We are recovering and safeguarding archaeological heritage in accordance with National Cultural Heritage Law. 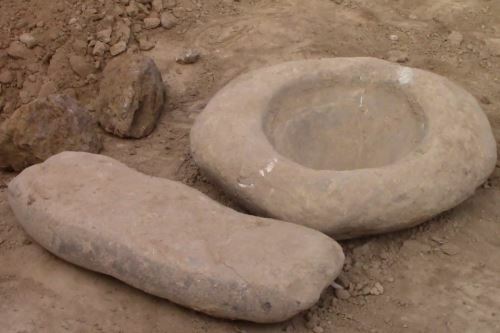 We've found some lithic remains, fragments of ceramics, human bone remains, and a salvage procedure is being performed before handing them over to Culture Ministry for their protection," said Ronald Sullca, an archaeologist at the abovementioned Decentralized Culture Directorate. According to Sullca, the culture and historical period of such findings remain to be determined. "(…) We are going to analyze them (the bones and artifacts) to determine whether they belong to Wari period since the place is located 100 meters away from the archaeological complex of Wariwillka, known as Wankas' pacarina (place of origin)," he commented. Based on a historical process, he explained, cultures have settled in this region of the country since early times. According to archaeologist David Motta, Wariwillka was —probably— a vast territory and this is one of the burial sites adjacent to the archaeological monument. As stated by landowner Porfirio Aquino, he bought this 500-square-meter property more than 20 years ago, when it was a corn field. Aquino assures he tried to cultivate different products there but, after failing to do so, he decided to build a house instead.